On Monday, the Cal women’s golf team will head to TPC Harding Park in San Francisco to start the NCAA Regional Championships. After a rocky Pac-12 tournament, the Bears look to bounce back as they face familiar conference rivals No. 1 seed UCLA and No. 2 seed Stanford. No. 11 seed Cal has a tough path ahead of it, needing to finish in the top six of the 18-team field in order to qualify for the NCAA Championships in Oklahoma later this month. Competing for the Bears will be senior Marthe Wold, junior Marianne Li, freshman Sofia Lundell, junior Cindy Oh and sophomore Jiyoon Jang. Despite her shortened season, Jang has been the star for the Bears all spring and was recently named first team all-conference, a feat made even more impressive by her lack of playtime. Though the team clearly suffered in her absence, it will look to Jang’s return to help it beat top-ranked opponents in regionals as it did at the Silverado Showdown. The real backbone of the Bears all season has been the veteran, Wold. Wold finished 18th overall at the Silverado Showdown and notched the Bears’ highest individual score at the Pac-12 tournament, finishing tied for 15th overall. While Jang remains the lowest scorer for the Bears, Wold has provided a level of consistency and leadership that has kept the Bears competitive despite Jang’s injuries. Alongside Wold, co-captain Li, has also provided stability to the team as players battled injury and inconsistency. Li had the second-lowest score for the Bears at the Pac-12 tournament, finishing finishing tied for 23rd overall, adding yet another top-25 finish to her impressive resume. The biggest surprise of the tournament, however, is the absence of sophomore Maria Herraez from the lineup. Herraez, who had a breakout freshman season, has yet to recapture that magic in her sophomore campaign. 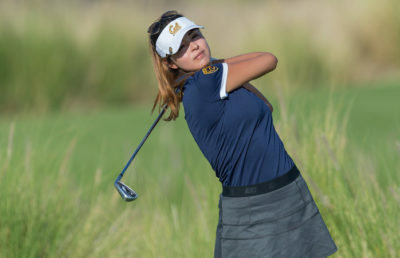 Herraez had the worst score for the Bears in the Pac-12 tournament, finishing 53rd overall. At the Silverado Showdown, where Jiang, Li and Wold all finished in the top 20, Herraez finished 51st overall. The final two players for the Bears are Oh and Lundell, who have switched off filling the fifth spot for the Bears all season but both managed to qualify for the regional tournament. Lundell’s first collegiate season has been a bit of a struggle, as might be expected. When she actually gets a chance to compete, she tends to finish well outside the top 25. The regional tournament, however, may provide her an opportunity for change. 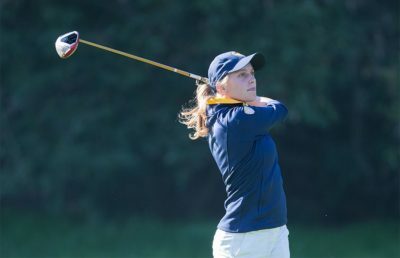 Her experience competing in the past two tournaments has helped her prepare with more consistent playing time and practice at the collegiate level. Even though Cal will be facing some of its top rivals, the Bears will have the advantage of competing on familiar territory not too far from home. With no time change to adjust to and a familiar climate, the Bears may just have the edge they need for a top-six finish. With this in addition to the return of Jang, the Bears are in a strong position to qualify for the national tournament.